Universal access to clean water should be the world's highest priority, according to a recent pronouncement by a "swarm artificial intelligence" system that connected 70 people in real time via AI algorithms designed to turn them into a "hive mind." Participants in the swarm were attendees of the South by Southwest conference this month in Austin, who were gathered by AI company Unanimous AI to "think together" on a variety of topics and provide "optimized insights." Among the issues analyzed was the United Nations' Sustainable Development Goals, a list of priorities for becoming a better world by 2030. The swarm AI "converged with high confidence" to name clean water as the top goal, selecting it over "quality education," "gender equality," "good health and well being," "zero hunger" and "no poverty." 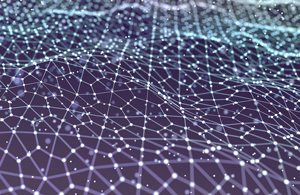 The swarm AI technology "connects groups of people into real-time closed-loop systems, amplifying human intelligence," according to a Unanimous AI statement. The idea: to "create super-intelligent systems that inherently maintain human values, emotions and interests" and use them to generate precise insights. For example, swarm AI was able to predict the winners of the recent Academy Awards with 94 percent accuracy, the company said. "With the rise of AI, it's important to keep human knowledge and wisdom in the loop, especially when weighing complex social priorities," commented Louis Rosenberg, CEO of Unanimous AI, in a statement. "By building this hive mind at SXSW, we were able to combine real-time human values with AI algorithms and converge on a socially optimal recommendation for the UN's priority global goal: clean water for all."